President-elect Donald Trump briefly spoke to reporters in Florida on Wednesday. 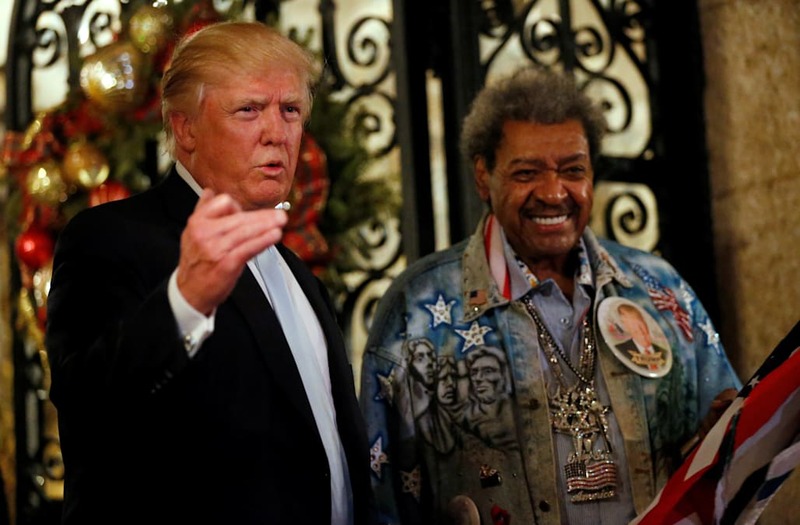 With boxing promoter Don King by his side in front of the Mar-a-Lago resort, Trump opined on a handful of current events, including US Secretary of State John Kerry's final plea for peace between Israelis and Palestinians. Saying Kerry's assessment "speaks for itself," Trump declined to go into specifics, adding cryptically: "different views ... we'll see what happens after January 20, right?" Earlier Wednesday, Trump tweeted, "We cannot continue to let Israel be treated with such total disdain and disrespect. They used to have a great friend in the U.S., but not anymore." On the continuing federal investigations into Russian hacking during the US election, Trump said intelligence officials "should do the best they can, figure it all out." That comment is a departure from the president-elect's claims that the allegations against Russia — made by the US Department of Homeland Security, the Director of National Intelligence, the CIA, and affirmed by the FBI — were nothing more than partisan politics. Sen. Lindsey Graham, a former 2016 Republican presidential candidate, accused Russia of attacking his campaign operations also — and said Russian President Vladimir Putin should face "crippling sanctions" for it. Trump scoffed at Graham's assertion: "I don't know what he's doing. I haven't spoken to Senator Graham ... as you know he ran against me." Trump continued: "I think we ought to get on with our lives. I think that computers have complicated lives very greatly. The whole age of computer has made it where nobody knows exactly what is going on." The White House is getting ready to announce punishment for Russia's cyberattacks.